Only 1 | One Slide | model left in stock! New recreational vehicle pricing includes all offers and incentives. Tax, Title and Tags not included in recreational vehicle prices shown and must be paid by the purchaser. While great effort is made to ensure the accuracy of the information on this site, errors do occur so please verify information with a customer service rep. This is easily done by calling us at 306-778-7000 or by visiting us at the dealership. We are one of the highest rated Automotive Groups in Saskatchewan. We treat all customers as family, each having different wants and needs. Although we would love to meet you in person, we are happy to provide trade values, best price and quote payments over the phone. We also know that you probably wouldn't buy a vehicle without seeing it therefore we could provide you with a personalized video, or even deliver the vehicle to you! 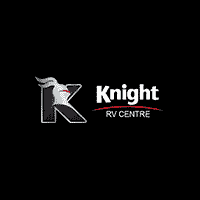 Located alongside Knight Nissan in Swift Current, Knight RV is a recreation vehicle dealer ready to help families and individuals looking to travel the country in comfort. Our sales staff can help you find brand-new RVs, and we also carry some reliable used options. Knight RV offers financing options for all types of credit, and we have an on-site service department to help get your RV ready for your next road trip. Take a look at our services and selection here on our website, and then come to our dealership at 1420 South Service Road East to speak to a staff member. We look forward to helping you find your next recreation vehicle!